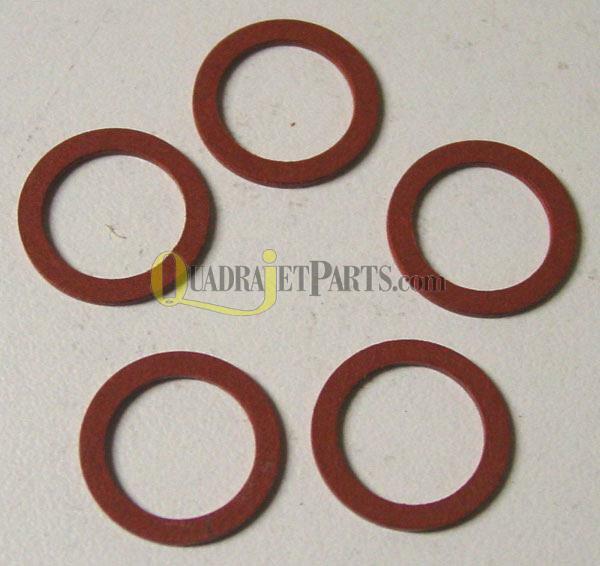 Inlet fitting gaskets for carburetors with 1/2" diameter inlets. Base Gasket - Holley 11/32"
Idle Mixture Screw - 1.106"
Idle Mixture Screw - Holley .998"
Idle Mixture Screw - Holley 1.07"
Holley Needle and Seat Assembly, .082"
Holley Needle and Seat Assembly, .097"
Holley Needle and Seat Assembly, .101"
Choke Fitting - 1/8" Pipe x 7/16-24"
Nitrophyl Float - Holley 2210, 2211C, 2245 - 10.5g. 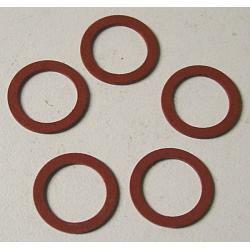 Base Gasket - Holley .031"
Teflon Bushing - Holley 1/2"
Holley Needle and Seat Assembly, .110"
Holley Needle and Seat Assembly, .120"
Holley Needle and Seat Assembly, .092"
Base Gasket, Spread Bore .016"
Nitrophyl Float - Holley 740 - 13g. 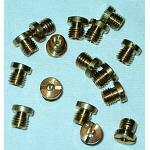 Idle Mixture Screw - Holley .986"